Decanters may often be elegant or beautiful, but unless you have professional glass blowing skills at your disposal, options are usually limited for specific designs. That said, there’s a decanter that’s on sale right now at the shop you should definitely check out if you’re a fan of skulls. In fact, it’s a 5-piece set, complete with a 25-ounce skull decanter, 4 skull shot glasses, and even a pretty stunning wooden base for everything. 50% off currently gets Daily Caller readers the set for just $49.99 out the door. 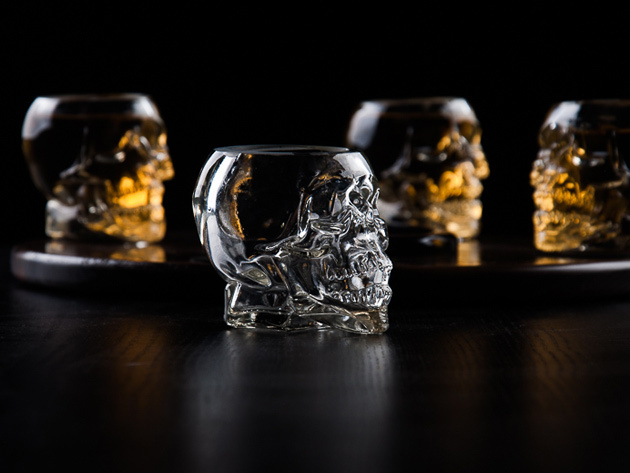 Whether you’ve always been a fan of skulls as a decorative motif, or you’re looking for special barware to pull out in October, this set will spice up your serving game. Featuring lead-free crystal, it also comes with a glass stopper and rubber base so that whatever you’re serving stays super fresh. 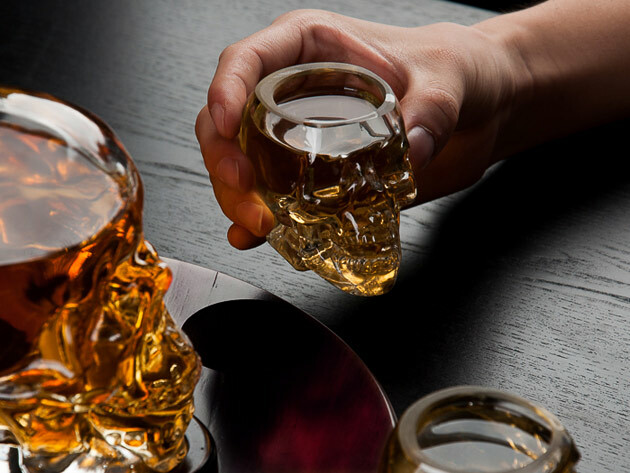 Don’t miss your chance to get this super-high-quality set on sale if you’ve been looking for skull barware. Check out the 5-piece deal today at the shop for just $49.99 after 50% off MSRP.